Amy is widely known as one of London’s top hair colouring talents and is very passionate about her craft. Providing professional hair colouring services for her clients whether that is in the salon, on photo shoots, advertising campaigns or behind the scenes at catwalk shows. 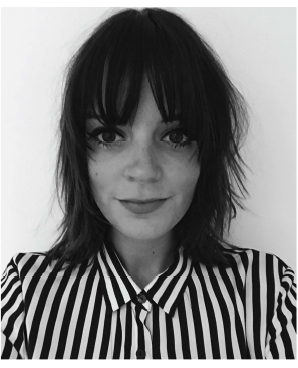 Amy has 12 years experience in the industry and her career has gone from strength to strength culminating in her being named Creative Head Magazine’s IT GIRL 2016 and being labelled as one of the ‘Hairdressing Heroes Right Now’. Alongside her accolade Amy has an impressive portfolio of work which includes clients such as Versace, Saint Laurent, Charles Jeffrey and Alex Mullins and her work has graced the pages of Love magazine, Dazed & Confused, Another Man and iD as well as countless websites and blogs. Amy’s expertise and creativity as a colourist is coveted by celebrities, designers, stylists and magazine editors alike. Not afraid to push the boundaries with colour, Amy very much enjoys the challenge in all aspects of her profession.